Officers from 11 Division are joining in the celebration of a significant milestone in Canadian history as Canada hits its 150th year since Confederation. As a result, a number of local celebrations have been planned throughout the year at 11 Division just as in communities across Canada. 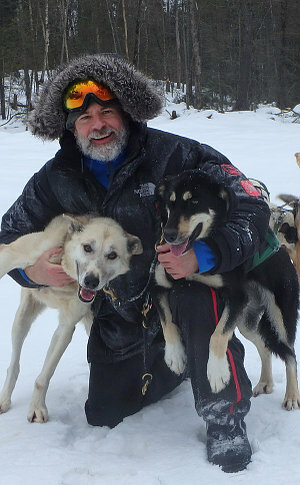 The celebrations started in earnest week of February 27, where (no stranger to winter snow) Supt Kuck embarked on another dog sled expedition into the frozen wilderness of Algonquin Park. 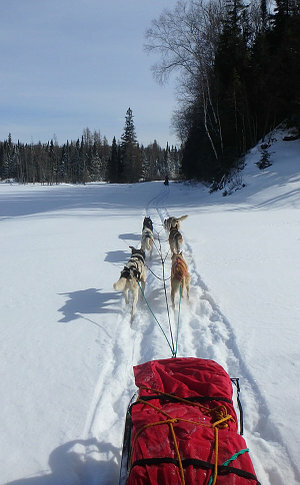 Kuck and guide Jamie Sands from Chowpaw Expeditions, took two sleds, 13 dogs and hundreds of pounds of gear, food and supplies to traverse the trails, frozen lakes and river valleys of Northern Ontario. Each night, they stayed in canvas prospector tents, and traveled each day deeper into the bush, targeting as close as possible to a symbolic distance of 150km to celebrate our 150 years. Superintendent Kuck’s “Confederation Expedition” was warmly recognised by Prime Minister Justin Trudeau, who penned a letter to Kuck wishing him well on his journey. Kuck shared his experiences as a Canadian and on expeditions with Syrian refugees recently, meeting at the West Neighbourhood House. 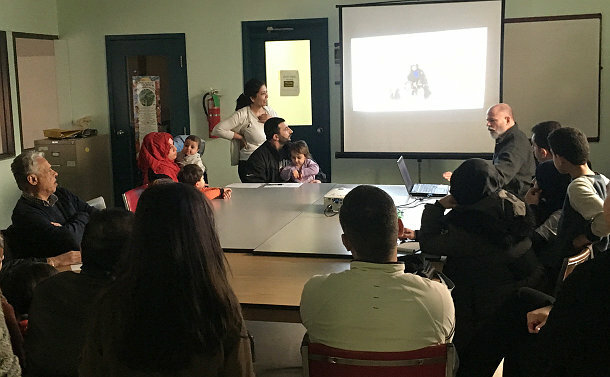 “The meeting was held not only to meet and welcome new Syrian refugee families, but also to take the opportunity of showcasing and celebrating, through discussion and presentation, Canada’s rich history since the start of Confederation. Part of the presentation included an interactive presentation where families viewed the wonder of the Canadian winter with past sledding and snowshoe expeditions,” he said. Other 11 Division commemoration events included getting kids together for Canada favourite pastime, hockey. Community School Liaison Officer Constable Eric Berridge supported a March 6 game at McCormick Arena between Garden Avenue Public School and Swansea Public School, where students, staff and families of both schools celebrated the 183rd birthday of Toronto, as well as Canada's 150th birthday. “They celebrated through a friendly exhibition game of hockey. I have been involved with both schools’ hockey programs for three years. 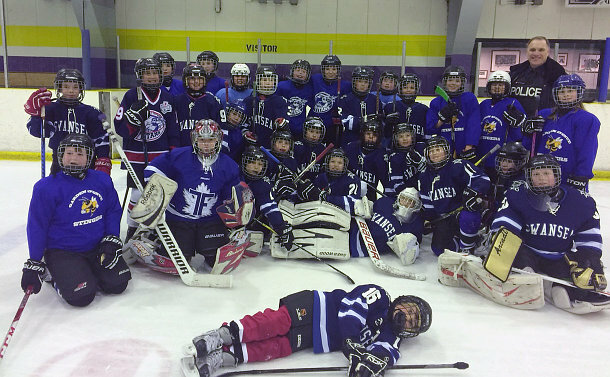 Each school has amazing stories where some of the students’ first experiences ever in hockey were with their own school teams,” Berridge said. Monika Chawla, a teacher at Garden Avenue Public School, thanked Berridge for his support with the school’s program. "Today was a special day for Garden Avenue Public School. To play hockey on Toronto's birthday, and to recognize Canada's 150th birthday with a hockey game, now that is special,” Chawla said. School Resource Officers Constables Laura Ball and Basil Fernandes have also doubled down, planning two back-to-back Confederation events. 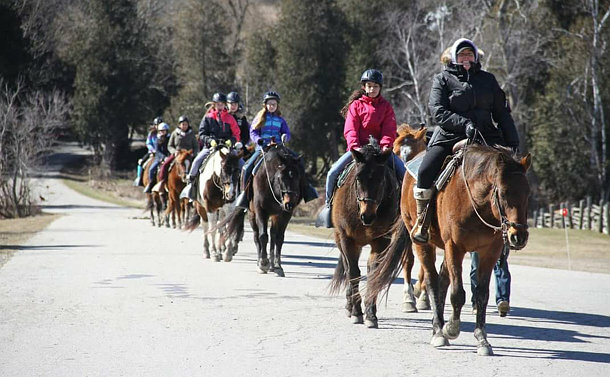 The first, Teen Ranch (slated for April), is a ProAction Cops & Kids-funded program, and is designed so that the students will build relationships with the officers as well as the other students that are a part of the program. Another event that will be taking place is the 11 Division Youth Fitness Challenge. Students from Runnymede Collegiate, Bloor Collegiate, Western Technical –Commercial School and Bishop Marrocco/Thomas Merton Catholic High School, who have shown an interest in law enforcement are being encouraged to participate. Each school will select 10 students to physically prepare for and then compete in the challenge. The event will empower students to have goals and strive to achieve them for a positive outcome. On May 16, the students will attend the Toronto Police College, 70 Birmingham Street, to participate and compete in the Physical Readiness Evaluation for Police (PREP) test and a 20-metre shuttle run. This event will also feature a presentation of the history of the Toronto Police Service.